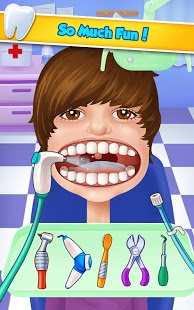 Pop Stars go to the Dentist too! 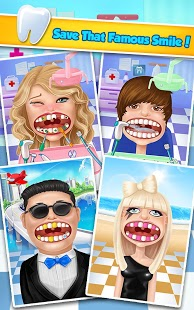 There are so many fans that want pictures of your favorite stars… help them ALL get shiny sparkling teeth so they can show off their famous smile for all their fans! Take care of the COOLEST Pop Stars! ** Tooth Decay! Yank those ugly teeth! ** Bad Breath! Pew! Spray away the bad breath! ** Shine up their teeth with a toothbrush! 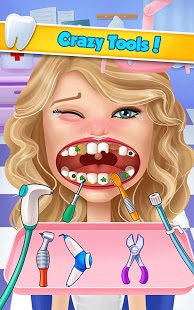 ** CRAZY Tools to get rid of cavities! ** Add some sparkling GRILLZ! ** Fun trinkets for their braces! ** TONS of fun GAMES inside!